​The EMBodIED Research Team at La Trobe University have specially selected and trained health professionals to provide parents with the Confident Body, Confident Child Parent Workshops. These are a series of two, 2-hour workshops, usually presented one fortnight apart. 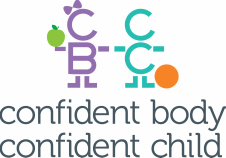 They give you an opportunity to learn about the content in the Confident Body, Confident Child Program through a trained facilitator, meet with other parents to discuss common concerns around healthy eating, body image and weight management in the home, and engage in practice activities. We currently have partner organisations in Australia, the United States and by the end of 2018, the United Kingdom. To access parent workshops, please contact a partner organisation closest to you.